– Soak cashews and macadamia nuts in water for a minimum of 3 hours and drain. – Spread evenly into half of a 7×10 pan, using your hands to press it into the pan. – Refrigerate for at least two hours to set before cutting. 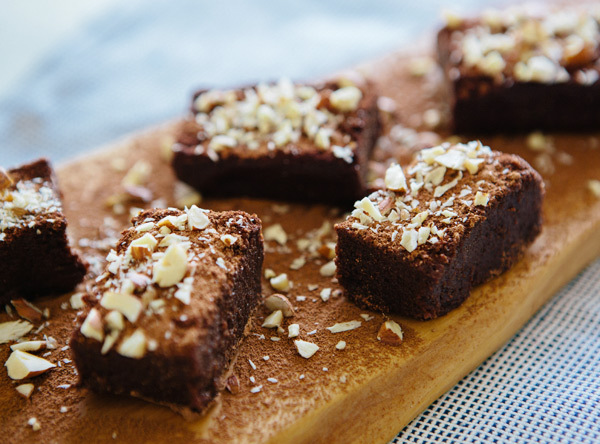 – Dust with cacao powder and garnish with 1/3 cup chopped hazelnuts. Cut into squares and serve. 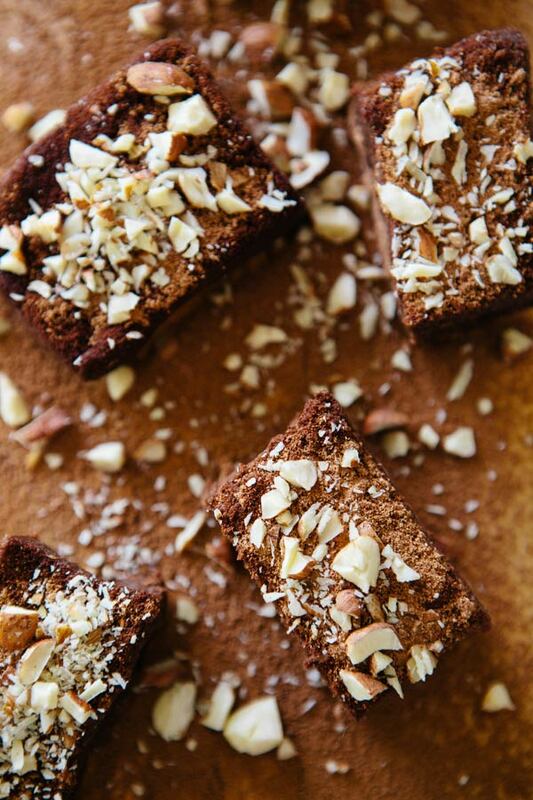 *Add additional honey to taste if you prefer a sweeter brownie. *Double brownie recipe if you’d like to fill the whole 7×10 pan! yeah, these DO look killer. omg. 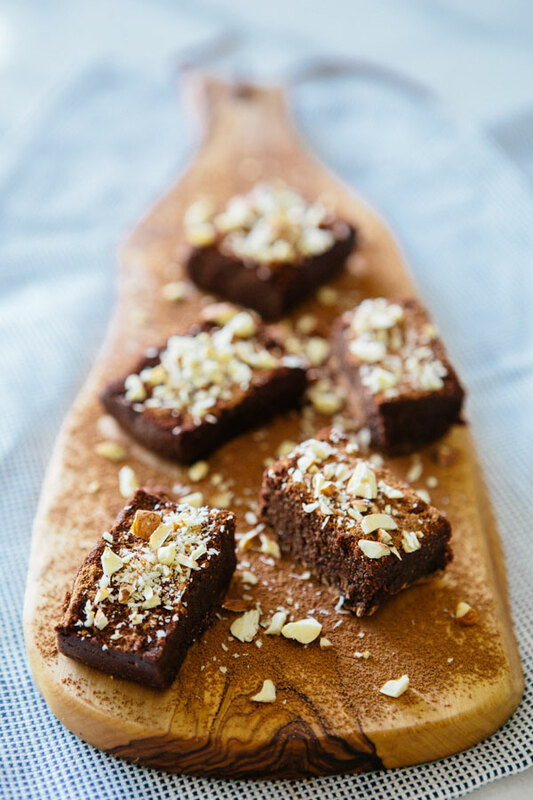 Healthy, chocolate and delicious! I'm sold! These look superb! Love this recipe. Absolutely perfect. Looks awesome, can't wait to make them! Just to verify, do the hazelnuts go into the nut mixture or are they just for garnish or both? They look amazing, and I can't believe that those are all the ingredients!! Attempting this for sure! I'm in love with your recipes! This one looks so amazing!!! These look so delicious and are healthy, too: I'm sold! I'm definitely trying this at home soon, very soon. Yum! I've really been into making raw desserts lately. These look great! 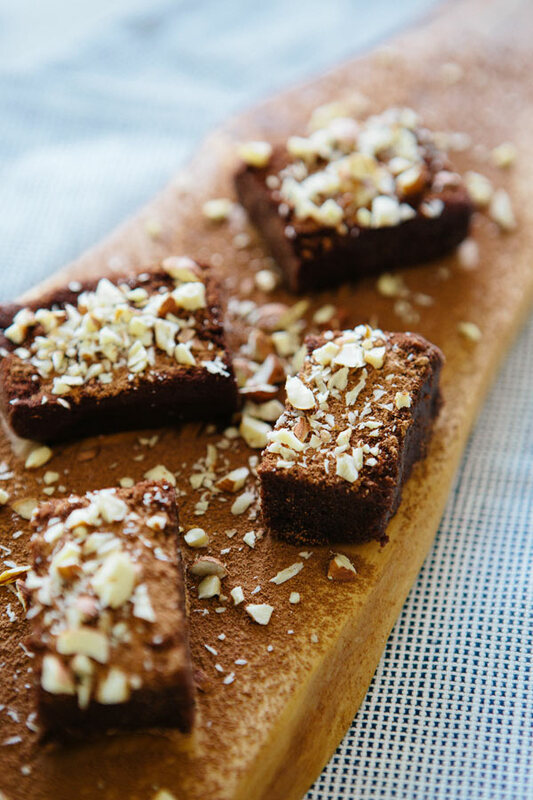 I was just going to make the raw brownies from Mynewroots, which I highly recommend (the brownies and the blog), but maybe I will give yours a try this time. Thanks! Yum! I've been making a similar recipe using dates but I'm definitely going to try this recipe. Sounds delicious!! Must try this recipe sometime. MMm choc brownies.